I think most of us would agree that surprises are great, just not unpleasant ones. And that's especially the case when traveling. When I'm on the road, whether it's to a domestic destination or a far-flung land, I would rather avoid getting ill, becoming stranded in an airport, having my hotel broken into, losing my laptop and so forth. You get the idea. The idea is that even someone who has logged thousands of frequent flyer miles will find something (or more than one thing) they didn't know that can help them save money, time and their sanity. The tips -- there are more than 200 of them -- come from my personal travel experiences, my background in the health and medical field, as well as my use of various products and gadgets that I adore. 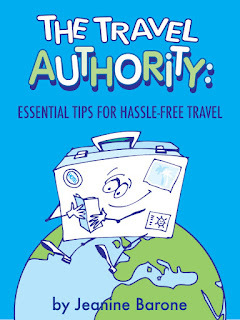 In The Travel Authority, you'll find that I provide links to apps that can save the day when your plane is delayed, for example, as well as companies, such as Adventure Cycling, that can take the hassle out of traveling with your bicycle, and products, like the SteriPen, that I take with me on many a trip to prevent traveler's diarrhea from contaminated water. (It's super small, pen-sized.) You'll find recommendations on how to avoid pickpockets -- with a very cool pair of pants -- as well as an item of clothing -- the Versalette -- that transforms into twenty different garments. I wrote this book for every kind of traveler, no matter your budget or style. If you're a business traveler or you're on a budget, if you prefer luxury travel or you're more comfortable on the Appalachian Trail, you'll find tips for you. That's because I travel in all manner of different ways, staying at hostels and five-star hotels; I'm often on business but I also go on long-distance hiking, bicycling and Nordic skiing trips. I hope you enjoy reading it and I hope it makes your next journey worry-free. congratulations on the book, Jeanine. I am sure it will be helpful to many sorts of travelers looking for sound advice, and I hope it brings many good things your way too. This sounds like a really useful book. I can't wait to get it, I could use some travel tips. 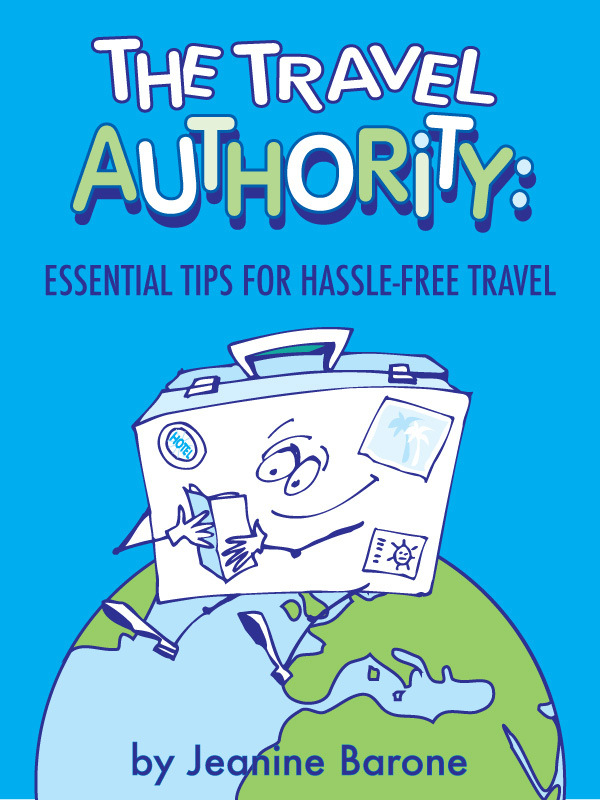 What an awesome e-book, especially for the travel-challenged like me. And you ARE the authority. Love the cover, too. Hi Putting It All On The Table, Thanks for commenting, here. Appreciate your interest. Hope you enjoy the book if you decide to purchase it. HI Kerry, yes. I wrote the book so that any and every traveler can benefit from the tips. Hi Living Large, Really appreciate your support. Hope you find the tips helpful for your upcoming trips. HI Jane, Glad you like the cover. There are seven similar type illustrations inside the book. All comical, of course. Congratulations on this book. Love the cover as well as the contents. And what a nice bonus to the readers to be able to get discounts on some items! Hi Sheryl, Thanks so much, Sheryl. Yes, I'm happy that the companies I recommended in the book ended up graciously giving product discounts. Sounds like a must-have book and a topic that needed to be tackled. Thank you for sharing your expertise. Hi Heather, yes, it's got all my favorite and savviest travel tips. HI MyKidsEatSquid, Thanks bunches. It's a real cure-all for travel worries, that's for sure.